Arsenal's 1-1 draw against Tottenham leaves them still very much in contention to finish inside the top 4. Their mini-revival, where they have won three of their last four Premier League games and drew the other against Tottenham Hotspur, has certainly improved their season but given their tendency to switch off at random moments, they could easily drop a few points and not be in contention anymore. Also, given that Manchester United are very much in form right now, Arsenal's next PL fixture, which is against United, could play a huge role in deciding their top four hopes. If they lose that game and a few more till the end of the season, they will have to rely on winning the Europa League to get into the Champions League next season. 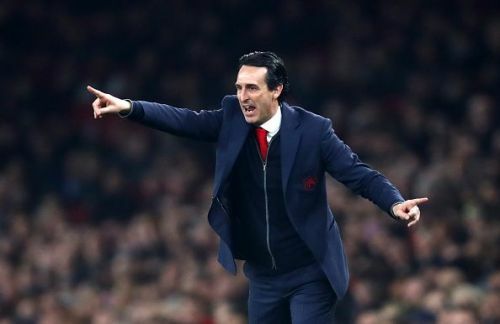 Unai Emery and his men take on Ligue 1 club, Rennes, next at the Roazhon Park. While Rennes' form domestically has not been that great, they do some have some really amazing players in their team and if Arsenal players are not at their best, this tie could be out of their hands before they realize it. Here are three Rennes players Arsenal need to be wary of. 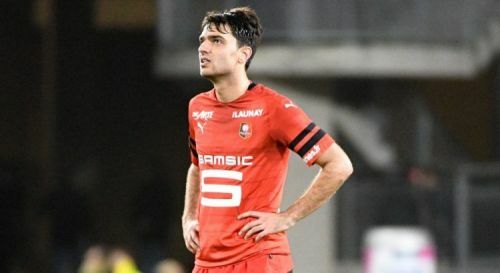 During his early years at Lyon, Clement Grenier was considered the brightest prospect in French football and the Gunners were also linked to him at one point. However, things never materialized and the Frenchman's career never took off either. After his loan spell at Roma, he moved to Guingamp and then in the summer of 2018 to Rennes. The midfielder is now trying to get his career back and has done decently up until now. In 36 appearances he has scored four goals and assisted four more. He also averages nearly two shots per game and has a pass success rate of 81% so far this season. With his superb free-kick taking abilities, amazing pinpoint accuracy from set pieces and amazing finishing, Grenier will definitely be one of the most dangerous players on the pitch. His career might have not gone his way so far, but he has an amazing opportunity to prove himself against a great club like Arsenal and you can bet he will be eager to make an impression.